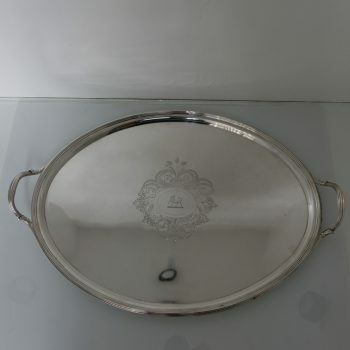 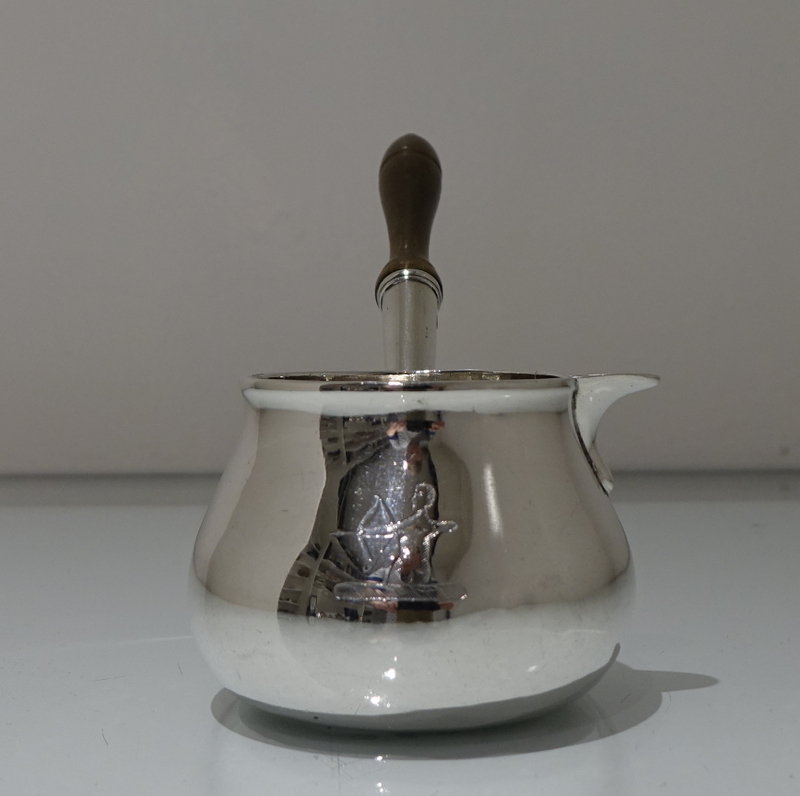 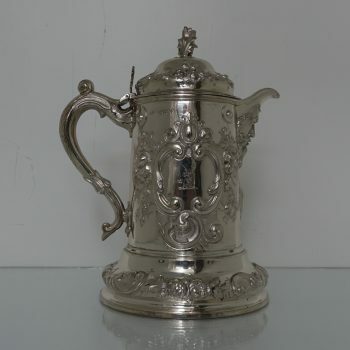 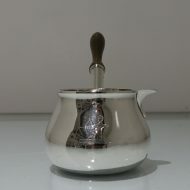 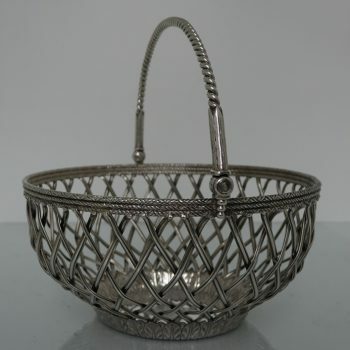 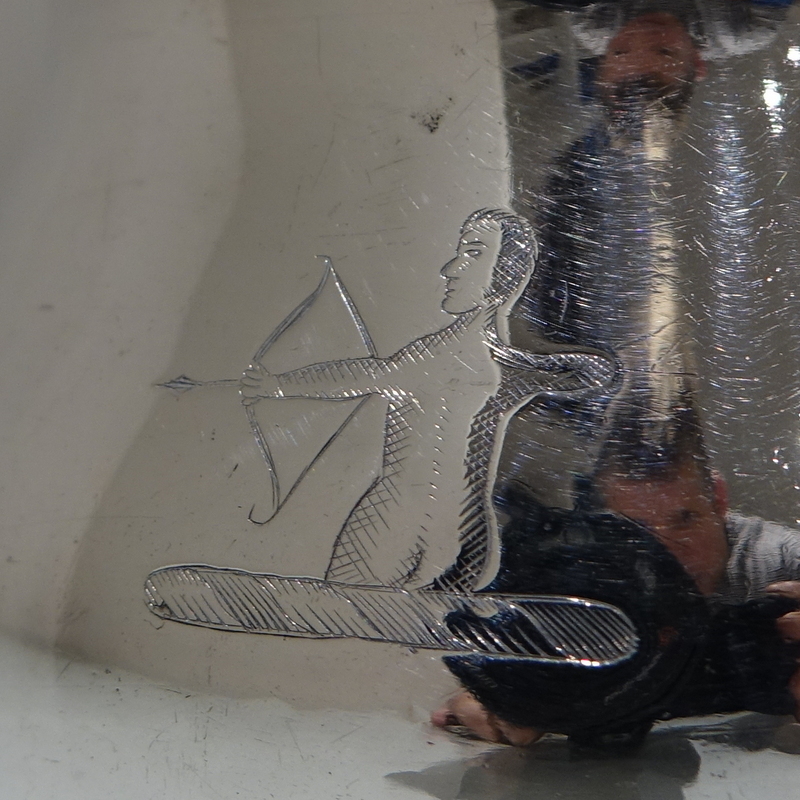 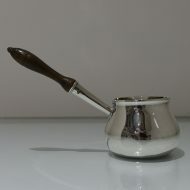 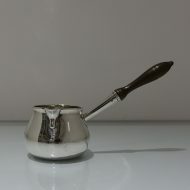 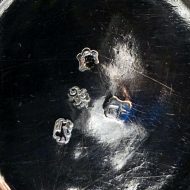 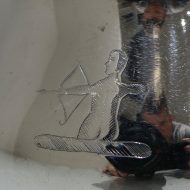 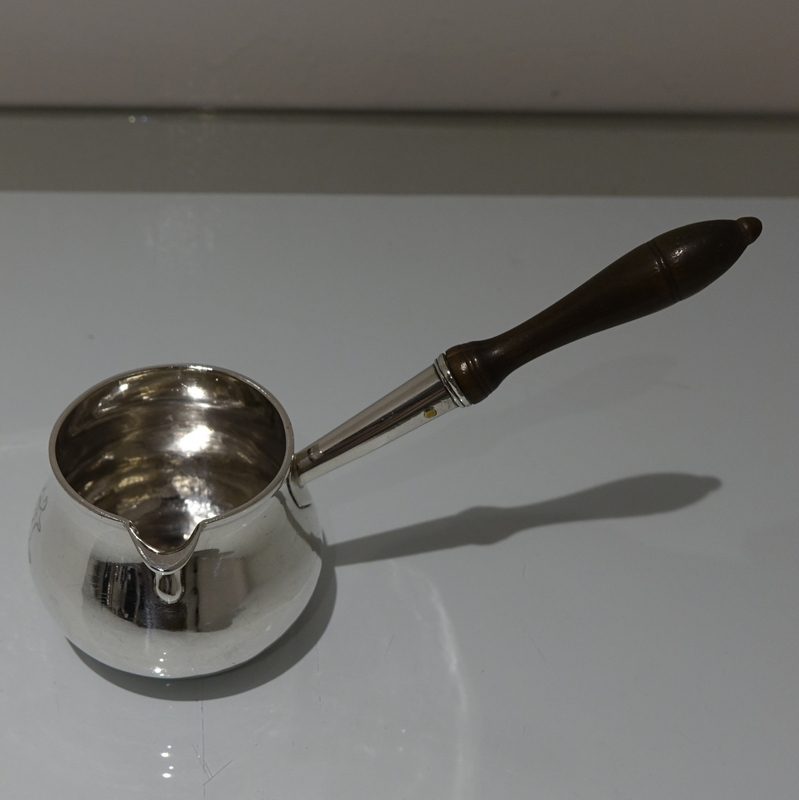 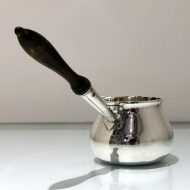 George II silver brandy pan. 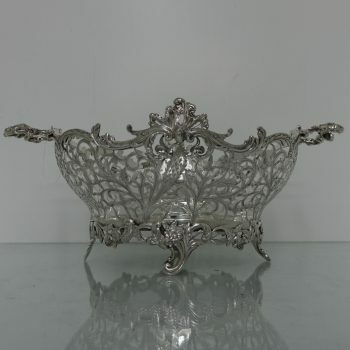 A splendid plain formed cauldron bowled brandy pan baring an elegant contemporary crest for importance. 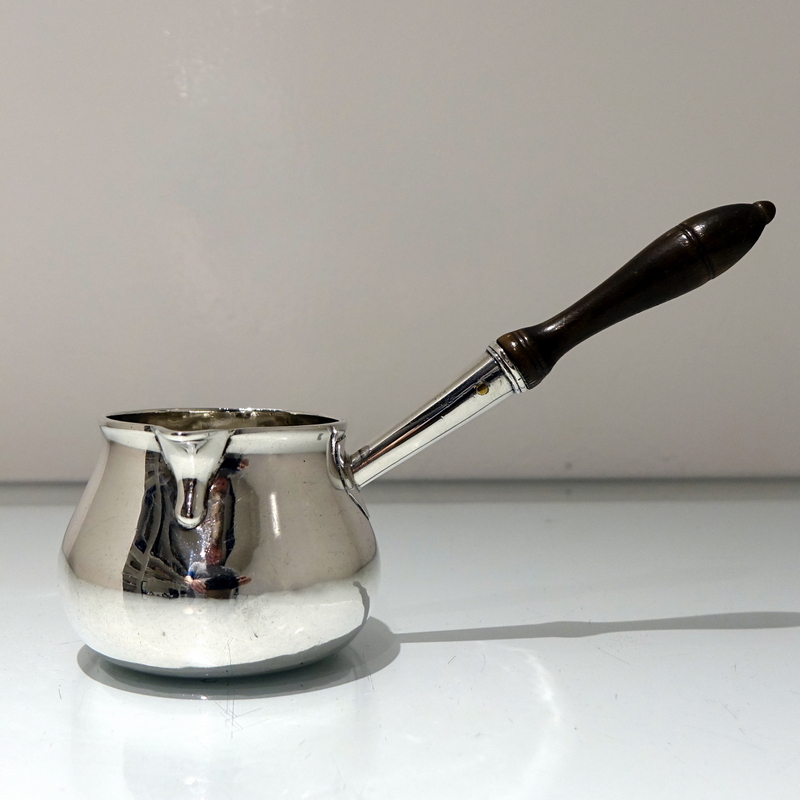 The applied “straight” designed handle is an elegant mix of a lower silver tube and a upper shaped fruitwood handle.